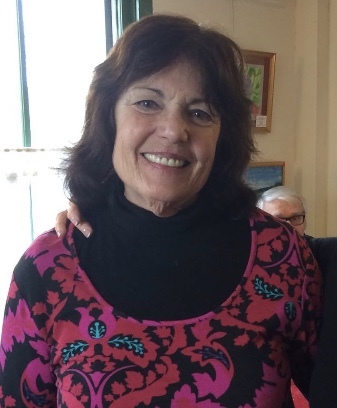 Obituary for Kathy Gillis | Compassionate Funeral Care Inc.
Kathy Gillis, age 72, passed away on Thursday, April 11, 2019 at Mary’s Haven with her loving family at her side. She was born on September 4, 1946 in Troy, NY, the daughter of the late Stanley Conboy and Marjorie Bouchard Conboy. Kathy was a teacher at Washington Irving School in Schenectady, NY for many years prior to her retirement in 2010. She was a woman who loved education who effortlessly inspired students and her colleagues. Many remember her as a mentor who taught not only business math but also greater life lessons that guided them to success. Kathy was probably the most well-beloved teachers among her students, she changed lives, and she gave her students confidence that normally would have been just pushed by the wayside. Kathy enjoyed spending time with her family and grandchildren. She spent many years loving her work in merchandise for Levon Helm Studios and was an accomplished figure skater. Kathy spent her final year enjoying painting and the arts and spending her summers at the Victoria Pool. Kathy is survived by her two children, John Gillis of Hardwick MA, Laurie Gillis of Montague, MA; four perfect grandchildren, Ryan Boody, Delaney Gillis, Emelia Gillis and Keagan Gillis; One great grandchild Camden Boody. She was preceded on death by her parents. Family and friends may call from 5:30 pm to 7:15 pm prior to the service that will be held at 7:30 pm on Thursday, April 18, 2019 at Compassionate Funeral Care, 402 Maple Ave. (Rte 9 and/or Marion Ave.), Saratoga Springs, NY.